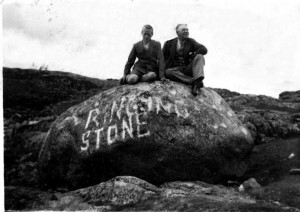 1903 edition of the book `Coll & Tiree – their prehistoric forts and ecclesiastical antiquities with notices of ancient remains in the Treshnish Isles` by Erskine Beveridge, with photographs and maps. Book no. 82 of 300 impressions. Written inside the front cover: Presented to “Lachlan Grant, Vallay”. 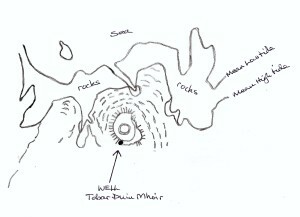 Booklet reporting on the findings of archaelogical investigations of Storakaig and Rubha Port an t-Seilich on Islay by the East Islay Mesolithic Project, lead by Professor Steven Mithen from the University of Reading during 2009-2011. 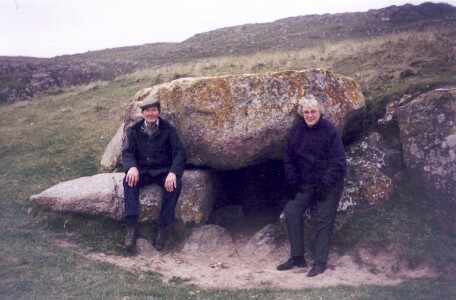 Colour photograph of Lachie & Flora MacLean, Druimfraoich, at ‘Naimh Chaluim Chèaird / the cave of Calum the tinker’ on the Balephuil side of Kenavara around 1995-2000. 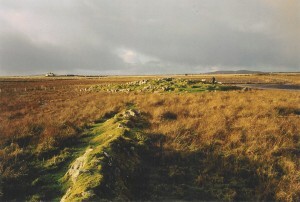 Thought to be a Neolithic/Bronze Age burial chamber. It is named after a traveller who presumably sheltered there. 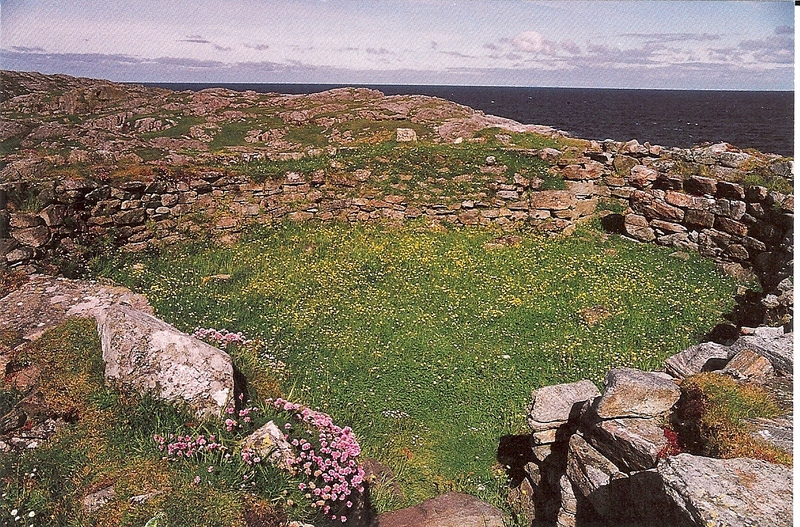 Typed letter from Prof. Mick Aston (BBC`s `Time Team` archaeology series of TV programmes) to Dr John Holliday (Chair of An Iodhlann) thanking him for his letter and newsletter, and stating that he very much enjoyed his visit to Tiree in 2009 and that he hoped to return. Dated 21 Oct. 2010. Typed account of the history of churches on Tiree. Unknown author. May have been the notes for a public talk. Typed ca. 1960. Found by the Rev. Neil MacKinnon, Cumbernauld, during a clear out of his house in 2010. Colour photo postcard of Dun Mor Bhalla, the broch at Vaul, taken in the 1970s-1980s by Sue Anderson. Original in filing cabinet 9 drawer 3. 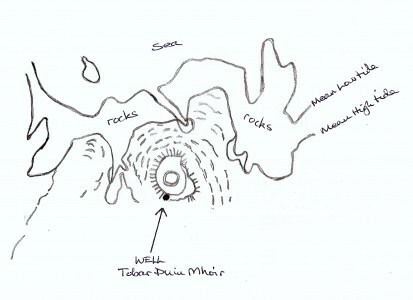 Photocopied tracing of a section of map F19 – Ordnance Survey map sheet LXV.1, 1899 scale 1:2,5000, showing the location of the well `Tobar Duin Mhoir` at the broch at Vaul. 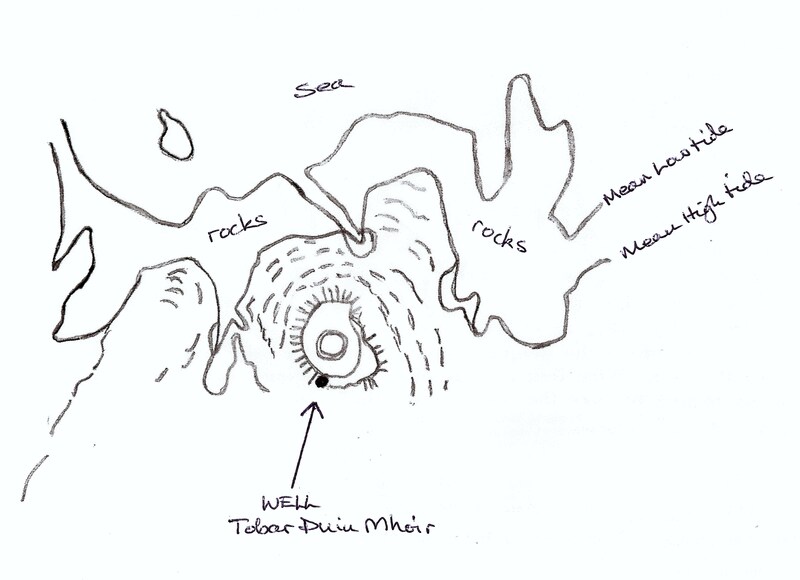 Bound PhD Thesis “Later Prehistory of Tiree and Coll, Inner Hebrides, Scotland: Application of geophysics in archaeological investigarion of cultural landscapes” by Darko Maricevic. 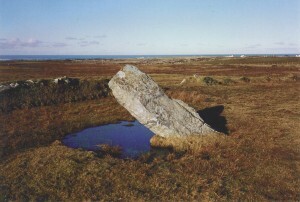 Book “The land below the waves – Tiree past and present” by Donneil Kennedy of Tiree ancestry. 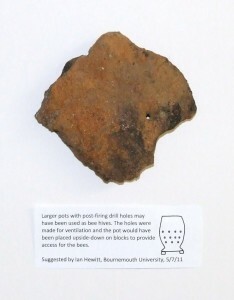 Printout of an email from archaelogist Tom Dawson, University of St. Andrews, to Charles MacDonell regarding the likely history and points of interest of a large collection of prehistoric pottery fragments (20010.35.1) found at Salum beach in 2009.